I’m happy with the results of the source code for version 1.0 of Korax Arena, everything seems to be working as expected, we already have a beta tester for it now, I have fixed almost all the problems it had and there are a few additions to be done, like a scoreboard and other small things that need to be completed to start revamping the maps for the official release, I’m already working on a new map for DM and another new map for Castle Sweep, they are coming along nicely so far, I hope my next post in this blog to be the announce of the final release, let’s hope it is, heh! I have been working a lot on adding more stuff for the Korax Arena code, I have managed to make scores for Team DM and Castle Sweep modes, which work just fine, also, I added invulnerability when respawning in DM modes, the bots have a really fair behaviour against monsters and players now too, there are some other things I would like to add before releasing the next internal beta test, like a score board for every gameplay mode, that’s all for now. 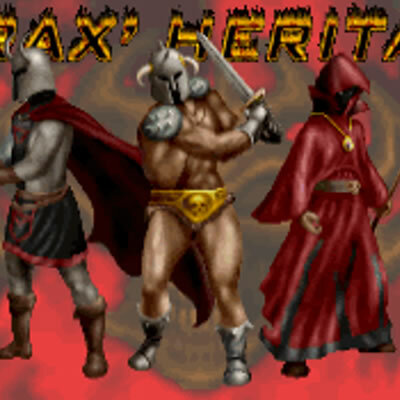 Today it’s another anniversary from my entrance to the Korax’ Heritage team, these 3 years have been full of work and cool things and surprises, when I started at the team, the only thing I worked was 2d art, but then at some point I realized that I wanted to help with something else, like mapping, then I decided to start making some map conversions where the base engine was changed from Doomsday to Vavoom, then I started learning programming and decided to code for Korax Arena, which has really been the only work I have made during this last year (with some more mapping here and there), and I think that KA it’s one of the most ambitious projects I have seen around for Hexen or Heretic, it really takes the engine to more than it’s limits and brings a lot of cool features to play with, I’m really anxious to work on it to make our first official release and we are testing all the problems that it might have to give you a flawless version of it 🙂 , once I finish doing this fixings to the code, I might get to work on another Castle Sweep map, that’s it for now, see ya soon!! 😉 .